Coastal 30' Heavy Tie Out Cable Up to 80 lbs. Pets like to explore the outdoors just like people. 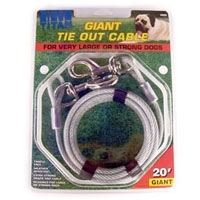 So as a pet owner you want a strong, dependable cable to assure your pet's safety while outside. Our cable tie-outs are weather resistant. Coastal tie-outs come in a variety of lengths and thickness to fit all of your cable tie-out needs. Coastal 20' Heavy Tie Out Cable Up to 80 lbs. Coastal 15' Heavy Tie Out Cable Up to 80 lbs. Coastal 30' Medium Tie Out Cable Up to 50 lbs. Coastal 20' Medium Tie Out Cable Up to 50 lbs. 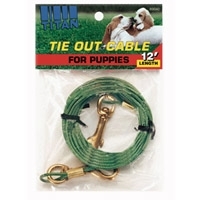 Coastal 15' Medium Tie Out Cable Up to 50 lbs. Coastal 10' Medium Tie Out Cable Up to 50 lbs. 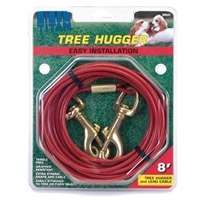 Tree hugger lets your dog run around a tree without getting tangled. Excellent for traveling with your pet. It is the ideal way to give your dog the freedom to move around a limited area without the danger and inconvenience of tangled ropes or chains. Easily attaches to tree or other fixed object. 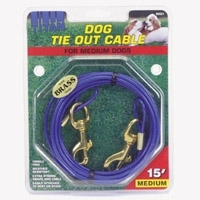 Includes tie-out cable for attaching to your dog's collar. 12' long rust resistant, perfect for puppies. Heavy duty construction for greater strength and security. Pets like to explore the outdoors just like people. Pet owners need a dependable tie-out to assure their pet's safety while outside. Coastal's poly tie-outs are weather resistant, lightweight, tangle resistant and have nickel plated swivel snaps. The Titan series of quality chain products is argon welded and chrome plated for maximum strength and durability. This process produces smooth links that are free of burs, and much stronger than electric welded chain. The Titan series includes chokes, training collars, and leads. These superior quality chain products will not tarnish, rust, or break. 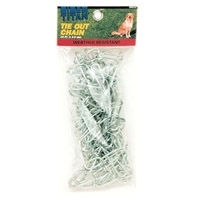 Strong, dependable Twisted Link Tie Out Chains let your dog safely enjoy the outdoors. Rust- and weather-resistant design, plus strong end swivel clips ensure lasting performance. Let your dog safely enjoy the outdoors without worrying that he will run into the street, visit the neighbors, startle passersby, chase an animal, or get into another kind of trouble. 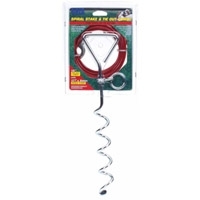 Strong, dependable Twisted Link Tie Out Chains attach easily to a post or stake. Coastal 10' Heavy Tie Out Cable Up to 80 Lbs. Coastal 30' Giant Cable Tie Out Up to 150 lbs. 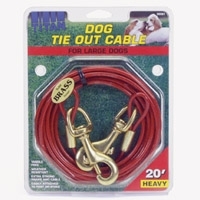 Manufactured from galvanized steel aircraft cable for the strongest dogs around. Gives dogs freedom to roam within a 30-feet area. Weather resistant. Designed to safety secure extra large dogs. 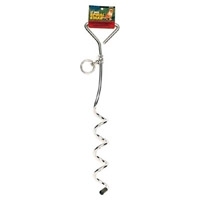 Perfect for use with a Titan Giant Tie Out Stake. Coastal 20' Giant Cable Tie Out Up to 150 lbs. 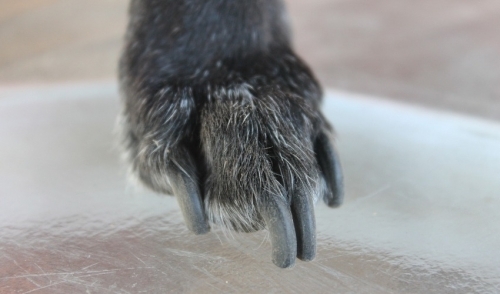 Manufactured from galvanized steel aircraft cable for the strongest dogs around. Gives dogs freedom to roam within a 20-feet area. Weather resistant. Designed to safety secure extra large dogs. Perfect for use with a Titan Giant Tie Out Stake. Coastal 15' Giant Cable Tie Out Up to 150 lbs. 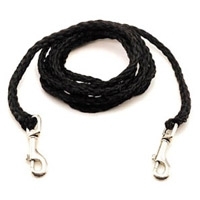 Manufactured from galvanized steel aircraft cable for the strongest dogs around. Gives dogs freedom to roam within a 15-feet area. Weather resistant. Designed to safety secure extra large dogs. Perfect for use with a Titan Giant Tie Out Stake. Coastal 10' Giant Cable Tie Out Up to 150 lbs. 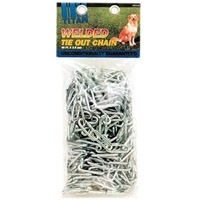 Manufactured from galvanized steel aircraft cable for the strongest dogs around. Gives dogs freedom to roam within a 10-feet area. Weather resistant. Designed to safety secure extra large dogs. Perfect for use with a Titan Giant Tie Out Stake.